Knowlton Nash, chief correspondent on CBC's "The National", from 1978 to 1988. It was sad to hear Knowlton Nash passed away the other day. 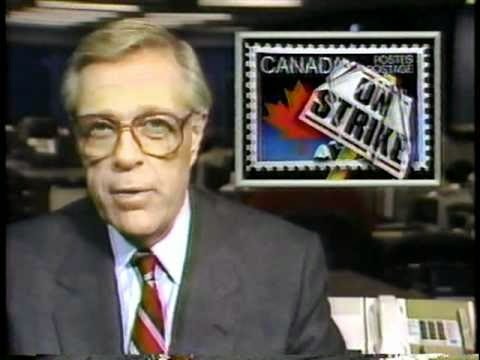 I came along at the tail end of his career, but he was definitely synonymous with Canadian news and the CBC in the ‘80s. Still, he was the epitome of integrity, honour, grace, and journalism. He is a role model all of us journalists can aspire to. When I was young, the Canadian newscasts were always at 11 p.m. When they ended, it signaled the end of the broadcast day. For me, it was Lloyd Robertson and Harvey Kirck on CTV, and Knowlton Nash on The National on CBC. Then CBC got bold and did the unthinkable. They moved "The National" to 10 p.m. I do recall that move, and how strange it seemed at the time. Now it’s just the norm. by Nash that I read. There was always something reassuring about Knowlton Nash. He was serious and professional. His job was to inform and, as he said in one interview I saw yesterday, to educate us. He did a masterful job because he never pandered, bantered, or tried to entertain. He informed. That made him the voice of Canada. I have no specific memories of Knowlton Nash, because I saw him a few nights every week. He was just always there, a familiar face I trusted to tell me the facts. It was only after he retired, and I got older, that he started writing books and I started reading them. Two sit on my shelf that I have read, “History on the Run” and “Visions of Canada”. 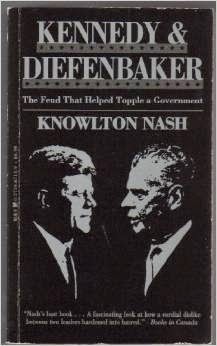 A third, “Kennedy and Diefenbaker” has yet to be read. 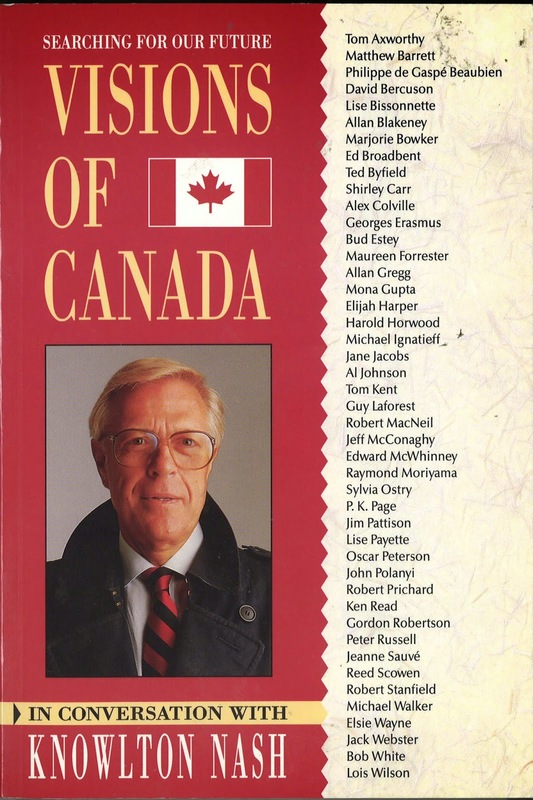 One thing I have observed so far is this: even after retiring, Knowlton Nash was the voice of Canada. it sits on my shelf. Knowlton Nash has been gone from "The National" more than a quarter century, yet his name still resonates. Likely because I can identify with many of the things said about him the past few days. He loved journalism, he loved telling stories, and he loved Canada. When he retired, he devoted a lot of time to writing, and published nine books. Although I never even thought about journalist as a career during the ‘80s when I watched Knowlton Nash, as I listen to all the retrospectives a part of me wants to be a like him. I want to have that kind of career and aspire to be that prolific. I think that says a lot about the kind of job he did, the example he set, and the person he was. Thanks for everything Knowlton and good night.